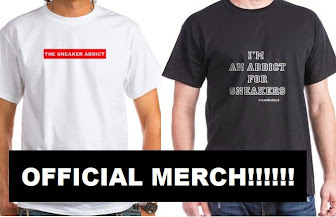 THE SNEAKER ADDICT: END. x Reebok Instapump Fury OG 'Pink Salmon' Sneaker (Detailed Look + Release Info) . END. x Reebok Instapump Fury OG 'Pink Salmon' Sneaker (Detailed Look + Release Info) . Here is a look at the new END. x Reebok Instapump Fury OG 'Pink Salmon' Sneaker Available now HERE ,This fresh iteration's design has been inspired by the majestic salmon, a creature revered for its incredible instinct for survival. An instantly-recognisable shade of salmon pink dresses the shoe, highlighted to the back quarter with a black heel panel. A premium suede embossed to resemble the overlapping design of fish scales sits beneath a ballistic nylon cage imbued with the innovative technologies that have seen the silhouette become truly legendary. The bold upper stands atop a speckled midsole, its subtle tonalities picking up on the contrasting heel panel. Woven heel pulls are completed with the succinct END. branding, whilst Reebok’s own graphic arrives in an embroidered iteration to the tongue and heel.